Neil Odin will formally start as chief on 1 January 2018. A new chief officer has been appointed to lead Hampshire Fire and Rescue Service (HFRS) and Isle of Wight Fire and Rescue Service (IWFRS) from the start of next year. Neil Odin will take over from current Chief Dave Curry, who is stepping down from his role after a decade with the service. Neil will formally start as chief on 1 January 2018. He said, “I am delighted to be taking on the role of chief officer for Hampshire and the Isle of Wight. It is a position that I know carries great responsibility, as our service strives to make life safer for every resident. “Stepping into the shoes of someone as respected and admired as Dave will be a tough challenge, but I am confident I can bring a new perspective and insight to the role. Neil was chosen following a rigorous selection process and the transition will now take place over the coming months. Hampshire Fire and Rescue Authority Chairman Councillor Chris Carter said, “I am pleased to announce the appointment of our new chief officer. I am very much looking forward to working with Neil when he formally takes up the appointment in January and supporting him in continuing the excellent work that has been achieved in making Hampshire and Isle of Wight safer. Neil joined the service as Assistant Chief Officer in March 2012, having previously worked at West Sussex Fire and Rescue Service for more than 20 years. 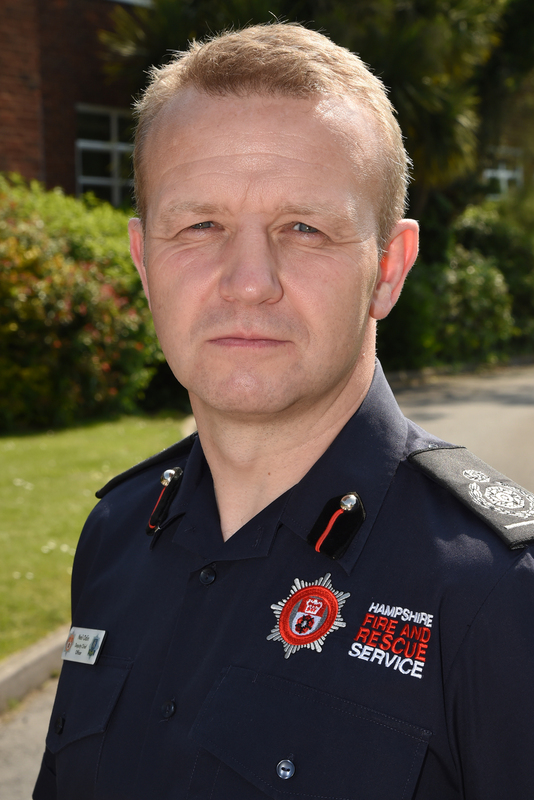 Later as Deputy Chief and Director of Service Delivery, covering community safety, response and resilience, Neil was responsible for fire fighting and frontline response, prevention, safe and well visits, business fire safety and community self-help plans. The 44-year-old has a Master’s degree in Business Administration and holds senior posts with the National Fire Chiefs Council (NFCC) and the commercial arm of HFRS.